The Peace Studies Program works closely with a number of organizations in the Dallas-Fort Worth region. Here are some links to some of those organizations. Many of our students have served as interns as these organizations. Peace Studies students who intern with these (and others) are eligible for the Aileen Andrew Peace Internship Scholarship. Peacemakers, Incorporated was founded by noted journalist, author, and peacebuilder Vivian Castleberry. Peacemakers has sponsored three International Women's Peace Conferences. 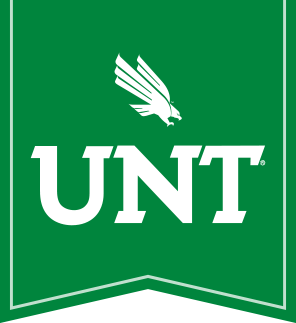 Peacemakers is collaborating with UNT's Peace Studies Program to develop the Castleberry Peace Institute at UNT. CST's mission is to provide specialized psychological and rehabilitation services to survivors of torture and other human rights abuses, traumatized refugees and their families in order to promote emotional, physical, and spiritual well-being and economic self-sufficiency. Through a network of dedicated volunteers, Human Rights Initiative helps those who have suffered terrible wrongs at home for worshipping their God. For speaking out against oppression. For being women. HRI provides legal representation and social services free of charge to those who have fled persecution and arrived in Dallas, Texas with nothing. No family, no friends. No money. And often, very little hope. Peace Action Denton is a grassroots, home grown group in Denton Texas. We work together to promote peace and justice at home and in the world. PAD is an affiliate of Peace Action, the nation's largest grassroots organization. PAD is dedicated to legislative and community action against militarism and FOR peace. PAD works to oppose U.S. aggression and calls for a reduction of the military budget, weapons trafficking and production. The Dallas office or IRC resettles approximately 500 refugees and asylees per year and works to integrate new arrivals into the Dallas population. During its three decades of service IRC-Dallas staff and volunteers have assisted refugees with obtaining housing, English language training, health care, and employment. Working together with volunteers and partner agencies we achieve our overall goal of refugee and asylee self-sufficiency within a few short months of arrival. PRIO was founded in 1959 and became a fully independent institute in 1966. It was one of the first centres of peace research in the world, and it is Norway's only peace research institute. Its founding and early influence were instrumental in projecting the idea of peace research.Research at PRIO concentrates on the driving forces behind violent conflict and on ways in which peace can be built, maintained and spread. In addition to theoretical and empirical research, PRIO also conducts policy-oriented activities and engages in the search for solutions in cases of actual or potential violent conflict. This combination of scholarship and practice has brought PRIO closer to meeting the normative ambitions of peace research: to apply high-quality academic standards to the study of peace and conflict, and to help diminish violent conflict in practice. The Department conducts research in several major areas of peace and conflict studies. Moreover, it houses its own data collection program - the internationally renowned Uppsala Conflict Data Program (UCDP) - which provides a unique freely and globally accessible dataset for frontline research around the world. Research pursued is both basic and applied, and some projects are policy-driven. There is expertise in most regions of the world. A range of quantitative and qualitative methods is used, and increasingly projects are multi-method. It is the most 'complete' research department of its kind in Scandinavia, and is internationally recognized as a leading institution in its field.